Cloudy skies. High 53F. Winds WNW at 5 to 10 mph..
Cloudy skies. Low 42F. Winds SSE at 5 to 10 mph. Aaron Tanabe will take over as athletic director at Seaside High School on Aug. 1. 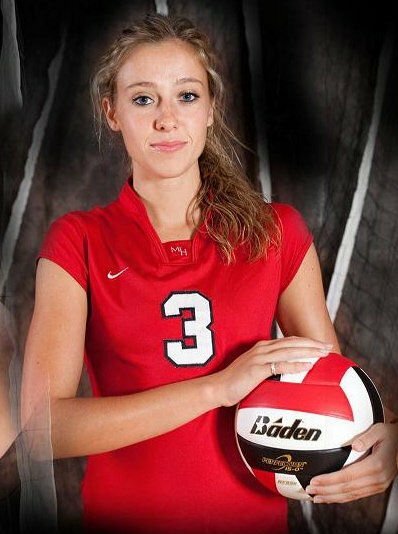 Seaside's new varsity volleyball coach Demi Lund, when she starred at Mt. Hood Community College. Seaside High School has filled a couple of vacancies in the athletic department, as the Gulls head into the summer season. Aaron Tanabe has been hired as the school’s new athletic director, and Demi Lund will take over as the varsity volleyball coach. Both were approved at a school board meeting Tuesday night. Tanabe replaces Jason Boyd, the longtime athletic director who is now the vice principal at Seaside High School. And Lund replaces Eric Huntsman as the Gulls’ volleyball coach. Tanabe comes to Seaside after serving as an offensive and defensive line football coach at Valley Catholic for the last four years. He played football and baseball at Hilo High School in Hilo, Hawaii. That was followed by two years of college football at Southern Oregon before he transferred to Linfield College, where he played his junior and senior years. Before coming to Valley Catholic in 2014, Tanabe coached at Amity High School. He also taught physical education and health at Jason Lee School in Portland. 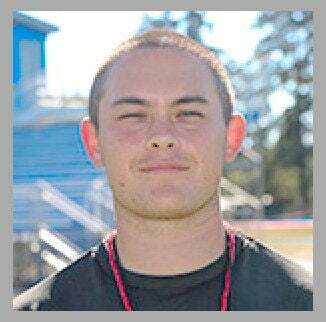 At Seaside, he will also teach and serve as an assistant football coach to Jeff Roberts, who also played at Linfield. “I wasn’t a teammate (at Linfield), but I got the chance to know him and had the opportunity to coach against him when he was at Valley Catholic,” Roberts said. “He’s a young man who’s driven, who’s coached and played different sports. Getting the Seaside job “allowed him to stay in the area and gives him a student population he could identify with, and a place where he feels he can put down some roots,” Boyd said. Meanwhile, Demi Lund (formerly Demi Belshe) was a volleyball player at Mt. Hood Community College and Carroll College in Montana, after a prep career at Roseburg High School. She is married to Astoria High School graduate Dane Lund. Joining Lund on the Seaside coaching staff will be junior varsity coach Paul Whittle and JV II coach Becky Botkins. Another position the Gulls must fill will be varsity baseball coach, following the recent resignation of Joel Dierickx after 21 years as the Seaside coach. Tanabe will officially take over as athletic director Aug. 1.